Sink your teeth into a terrific stationery item. 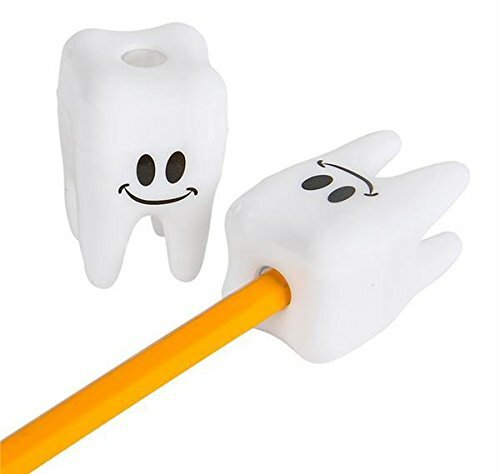 These novelty pencil sharpeners take on the form of a single tooth complete with a smiley face print. A great prize for kids at the dentist office. For ages 5+.